There will be a range of closuers and changed opening hours in the Bega Valley during the festive season. 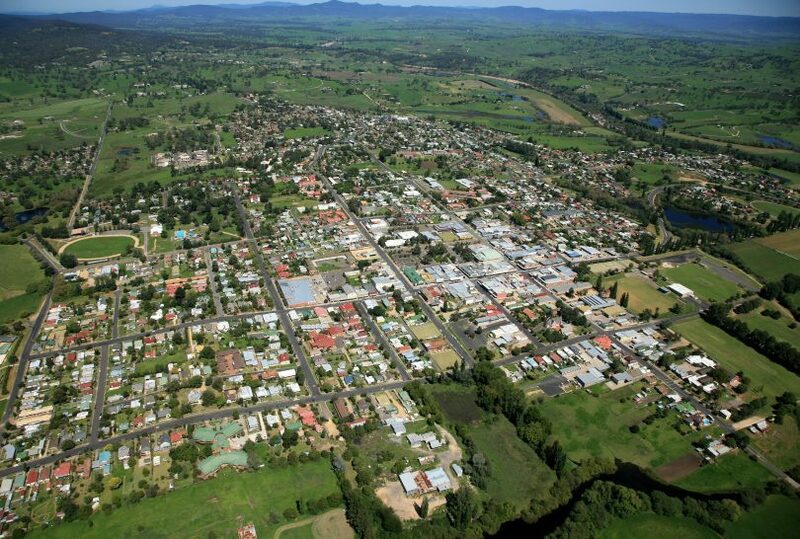 Aerial photo of Bega sourced from Bega Valley Shire Council. Bega Valley pools and tips will close on Christmas Day, local libraries will close until January 2 but household bin collections will happen normally, according to Bega Valley Shire Council. The Council has advised residents that during the Christmas and New Year period many of their offices and services will be affected by closures or a change in opening hours. These are summarised below. Council’s Bega office closed on Friday 21 December and will reopen on Wednesday 2 January at 9.00 am. The after-hours telephone will be staffed for emergencies, call 6499 2222. All tips will be closed Christmas Day only. Otherwise, tips are open as usual over the holiday period. Check operating hours at www.begavalley.nsw.gov.au/waste or on the Bega Valley Waste App. Household bin collections will happen as normal. Bandara Preschool closed on Wednesday 19 December and reopens on Tuesday 29 January at 8.00 am. Sapphire Mobile Preschool closed on Wednesday 19 December and reopens for children on Wednesday 30 January at 9.00 am. Bandara After School Care closed on Wednesday 19 December and reopens on Tuesday 29 January, 3.15 pm – 5.45 pm. Eden Preschool closed on Wednesday 19 December at 12 noon (opens as Eden Early Learning Centre). Eden Childcare Centre closed on Friday 21 December at 12 noon (opens as Eden Early Learning Centre). Eden Early Learning Centre (new name) opens for children on Tuesday 15 January at 7.30 am; their preschool opens at 8.30 am that day. Bandara Long Day Care closed on Friday 21 December and reopens for children on Tuesday 15 January at 7.45 am. All libraries at Bermagui, Bega, Tura Marrang and Eden closed at 12 noon on Saturday 22 December. The Bega, Tura Marrang and Eden libraries will reopen on Wednesday 2 January at 9.30 am with Bermagui library reopening on Thursday 3 January at 9.30 am. The Summer Holiday Program for kids, including the Summer Reading Club, will run at all four libraries and boasts a variety of entertaining activities throughout January. For details and bookings visit www.begavalleyshirelibrary.eventbrite.com.au. Currently showing South / East Interference Vol. 2, the Gallery will be closed for all public holidays; otherwise open as normal (Monday – Saturday, 10.00 am – 4.00 pm). Summer holiday kids’ workshops will run at the Gallery in January – more information at https://gallery.begavalley.nsw.gov.au. The Centre closed on Friday, 21 December and reopens on Wednesday 2 January at 8.30 am. Council managed pools will close at 5.00 pm on Christmas Eve, close Christmas Day and reopen on Wednesday 26 December. Please check with your local pool for public holiday opening hours. The Civic Centre closed on Friday 21 December and reopens on Wednesday 2 January by appointment or for bookings only. This Service will be closed on public holidays and will temporarily move to the Bega Civic Centre with a mobile phone service operating until Tuesday 29 January. Please call 0428 610 127 or 0428 644 814 to arrange meetings. Normal services will resume at Unit 6 Tathra Beach House Apartments from Wednesday 30 January 2019. Visit www.begavalley.nsw.gov.au/tathra for more information. Lifesaving and Lifeguard services are provided in the Bega Valley through a combination of three local surf lifesaving clubs and a Council managed contract lifeguard service. Current beach conditions are available on the Beach Safe website. Beachwatch, water quality monitoring results are updated weekly on the Council and Beachwatch websites to keep residents and visitors informed of the water quality, and whether to avoid swimming at certain times. Visit www.begavalley.nsw.gov.au/beachsafe for lifeguard services and operating times. For more information about Bega Valley closures or changes in opening hours please click here.